On Oct. 1, 2018, Board member of the Otay Water District Gary Croucher, officially begins to serve his two-year term as Vice Chair of the San Diego County Water Authority’s Board of Directors. At its Sept. 27 meeting, the Water Authority Board unanimously elected Croucher as incoming Vice Chair, along with Jim Madaffer from the City of San Diego as incoming Chair and Christy Guerin from Olivenhain Municipal Water District as incoming Secretary. Croucher has served on the Water Authority’s Board for more than 17 years, since July 2001, and served as Board secretary for the past two years. He is a member of the Water Authority’s Administrative and Finance Committee and the Legislation and Public Outreach Committee. He has also served as the Water Authority’s alternate to the San Diego Association of Governments (SANDAG). Croucher has served on the Otay Board for almost two decades, since 2001. He was appointed in 2001 by the San Diego County Board of Supervisors. Following his appointment, the public elected Croucher for four consecutive four-year terms to the Division 3 seat in November 2002, 2006, 2010 and 2014. 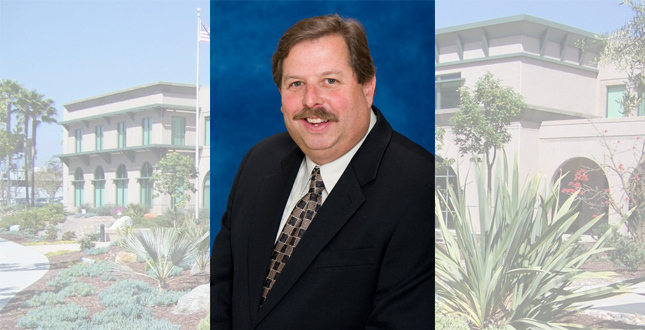 He has served as president of the Otay Board three times and as chair of its various committees. He serves on the Engineering, Operations, and Water Resources Committee, and as Otay’s alternate on the WateReuse Association. A 30-year firefighter, Croucher is the Assistant Chief for CAL Fire/San Diego County fire. He also is a former fire chief of the San Miguel Consolidated Fire Protection District, past president of Southern Area Fire Equipment Research and has participated on both state and federal Homeland Security programs. The Water Authority is governed by a 36-member Board of Directors representing the 24 member agencies in San Diego County, one of which is the Otay Water District.